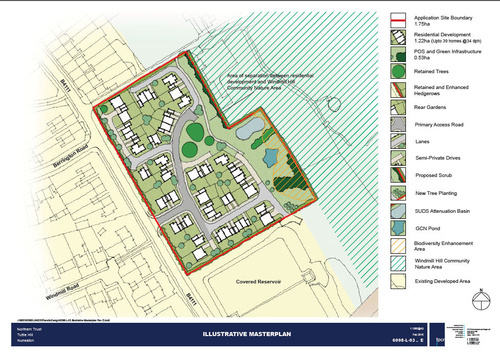 Northern Trust Company Ltd has announced that it has successfully gained outline planning permission for the former covered reservoir at Mancetter Road, Nuneaton on behalf of the landowners. The outline plans include on site open space and ecological mitigation area and up to 40 dwellings with 25% affordable housing. The development will also provide a contribution for a new pond and footpath, along with habitat improvements to the adjoining council owned Windmill Hill Community Nature Area and other local areas. For more details about Tuttle Hill please contact the land department at Northern Trust on 01257 238555 or email info@northerntrust.co.uk.